Global CapEx growth is projected to surmount global GDP growth over the next decade as capital intensive industries strive to meet the world's demand for energy, resources, information, mobility, and connectivity. As such, CapEx optimization is on the top priority list of most corporate leaders worldwide. Owning to its practice of providing a rate of return on capitalized investments, the Utilities industry has traditionally had it easy when it came to cost of capital. However, judiciousness around spend and capital allocation-based on total value consideration have been mostly sub-optimal. Financial pundits, also at the same time, have struggled to establish credible benchmarks around optimal usage of capital due to ambiguities in capital deployment in replacement and growth projects. 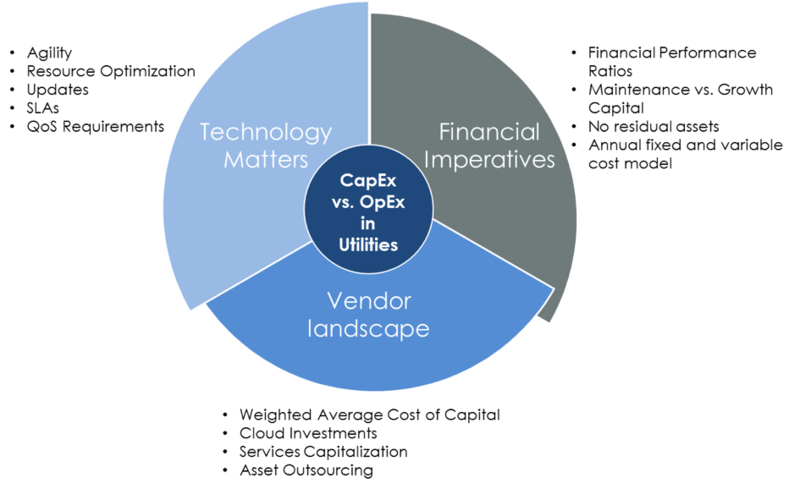 Other factors, like the iterative nature of capital planning, processs, and risk-oriented asset management, have forced Utilities to incline towards OpEx for finding viable technology and financial solutions. The advent of digital and cloud-based solutions have turned the CapEx/OpEx allocation funding decision into a technology decision. Cloud-based technologies sway all decision-making in their favor by bringing in benefits like agility, resource optimization, user adoption, continuous updates, and quicker time to value. They are also ensuring adherence to performance, SLA and QoS requirements. Apart from the above, OpEx-based models often allow for zero cost transformation that ensures adoption of the latest digital solutions at no upfront investments. Utility CxOs are at consistent pressure to meet ever-demanding performance criteria set by regulators and/or Wall Street. With an incessant focus on projecting higher returns compared to the employed cost of capital on a quarter-by-quarter basis, Utilities have the ability to manage key performance ratios through the OpEx model. Utilities are starting to take cognizance of the difference between maintenance and growth capital expenditures. They are assessing CapEx programs to clean up maintenance-heavy project portfolios. OpEx-based digital solutions provide viable alternatives to free up maintenance capital that can instead be used to build additional capacity for growth initiatives. Innovative financial models using OpEx accrue immediate benefits to Utilities, including relief from residual assets and a balanced economic structure with annual fixed and variable costs. The weighted average cost of capital for the IT services industry is in the range of 7.5% compared to 3.5% of the Utilities sector. Despite that, IT vendors are aggressively investing in cloud and cloud-based offerings. This is an open invitation by the vendor community to de-risk the CapEx model of Utilities by way of asset outsourcing and capitalization of services. Such services would come at a higher price for the vendors. However, the enormity of the global digital opportunity, ability to work as transformational partners of clients, and ability to hedge capital risks over multiple clients are motivation enough to invest in emerging technologies and work toward realizing unprecedented returns over the long haul. The digital era has given a new course to the age-old discussion on CapEx-OpEx optimization. 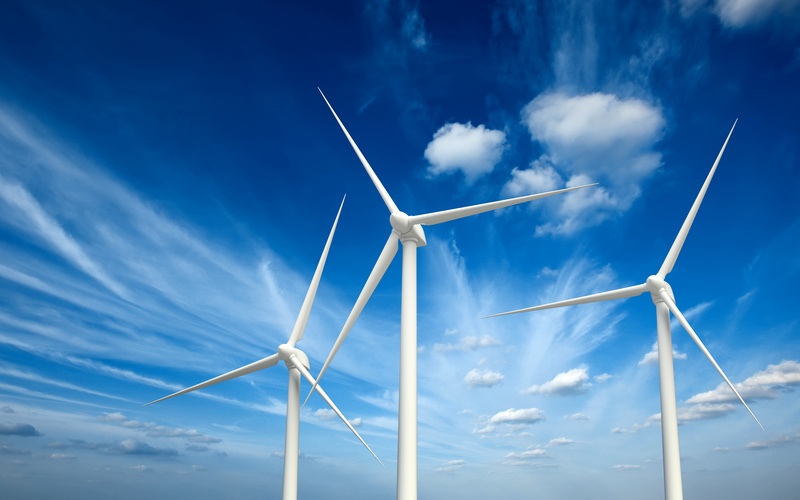 The direct impact of technology on financial levers of utilities business was never so great. Operationalization of capital expenditure opens up a wide range of possibilities like minimized upfront investments, improved asset usage ratios, increased average revenue per unit, average margin per user, and cost of asset recovery.